1. A fuzzy yarn beanie that'll look just as great indoors after you've thawed. Get it from Free People for $29.95 (originally $38). 2. A stretchy wool-knit cap with TWO layers to finally put a lid on frozen ears. By the way, this has 806 five-star reviews! So ~hats off~ to this wildly popular choice!! Get it from Amazon for $10.99. Available in eight colors. 3. A ribbed knit hat, because you can't manage your mischief if your head feels like ice. Get it from Torrid for $17.17 (originally $22.90). 4. A sequined beret so you can still go out at night without crying frozen tears. Get it from Asos for $32. 5. A fleece-lined, crochet-knitted hat that'll ~top off~ cute outerwear thanks to its soft pom-pom. Get it from Amazon for $11.49. Available in six colors. 6. A faux fur trapper hat, because if people could survive the cold in the 1800s then, damn it, so can we. Get it from Urban Outfitters for $24 (originally $39). Also available in brown. 7. A unisex cap to show how you really feel when you're forced to leave your bed and join the real world. 8. A velvet bow beanie for showing a sweet side even when you're cursing the wind under your breath. Get it from Forever 21 for $6.90. 9. A fuzzy wool beret so your good mood doesn't ~wilt~ as soon as you open the door. Get it from Amazon for $21.99. Available in 32 colors. 10. 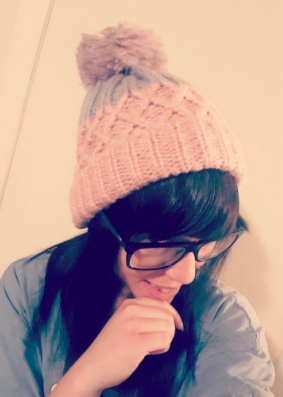 A knit hat with a rainbow pom to successfully fight constant gray skies. Get it from Missguided for $17. 11. A wool-blend cloche to look perfectly put-together even when secretly shaking from fear...I mean chills. Get it from ModCloth for $19.99 (originally $35). 12. A chunky ribbed knit hat that'll shield you from the wind while you race from the subway to the office. Get it from Forever 21 for $9 (originally $12.90). Also available in red. 13. A pom pom ski cap so you feel ~rosy~ no matter what the barometer says. Get it from Amazon for $12.99. Also available in white. 14. A bluetooth double-knit beanie with a built-in headset and headphones so you can play the sound of the ocean while you fight through slush. 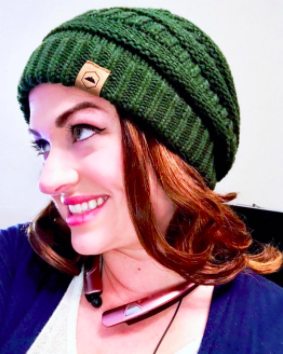 When it comes to music, think of this beanie as an iPod shuffle that sits on your head: you can skip or backtrack songs, control the volume, and pause. It comes with bluetooth to connect to any smartphone so you can even make calls. All from your noggin'. Get it from Amazon for $19.99. Available in three colors. 15. A heavyweight, fleece-lined cable hat to pull over your ears when Jack Frost goes from playful from malicious. Get it from Target for $17.99. Available in four colors. 16. A graphic knit beanie so you can share exactly how you feel that day (happy for Friday, see-ya for...also Friday). Get it from American Eagle for $15.95 (available in three styles). 17. A crotchet-braided knit cap for days the thermostat makes your tail bristle. Get it from Amazon for $10.99. Available in 14 colors. 18. A beanie-cap combo so you can participate in a trend better than the weatherman's report. Get it from Tobi for $10 (originally $20). 19. A cable-knit beanie with an elastic ponytail opening that'll leave you with no excuse to not exercise. Sorry! Get it from Amazon for $12.99+. Available in seven colors. 20. A ribbed hat to gather *the force* before facing the real battle that waits outside. Get it from Torrid for $14.92 (originally $19.90). 21. 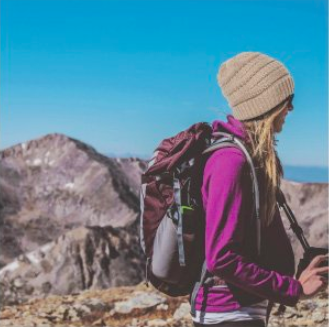 A beanie with a contrast pom for holding you over until blue skies return. Get it from Boohoo for $4 (originally $7). 22. A super-thick hat that'll cover both your noggin and your budget. FYI, this has 918 five-star reviews! That's more people than I can ever hope to know. Get it from Amazon for $8.95+. Available in eight colors. 23. A faux fur headband to look your best no matter how fiercely the winds blow. Get it from Free People for $29.95 (originally $38). Also available in white. 24. A ribbed, star-studded hat so you're pointed in the right direction when getting dressed. Get it from Tobi for $14 (originally $28). 25. 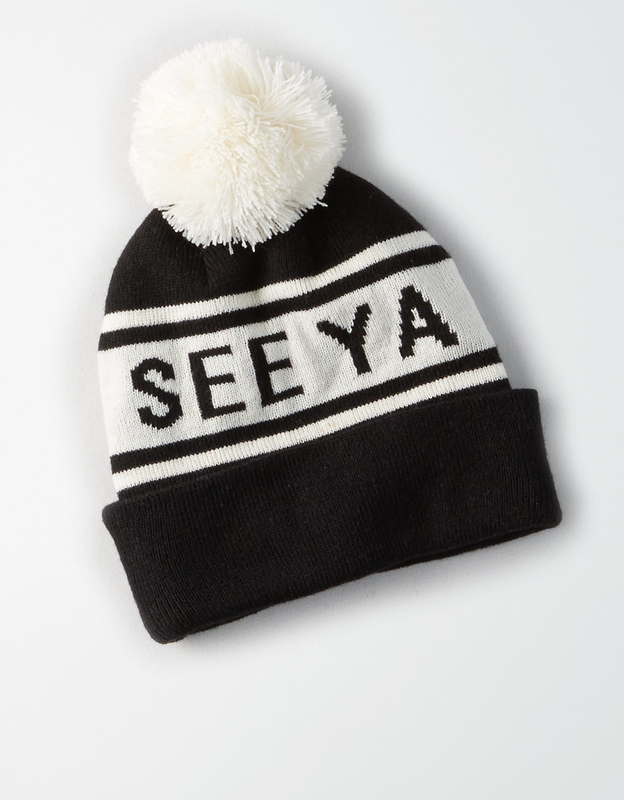 A cute pom pom hat for something you'll actually ~heart~ about this long, long season. Get it from Asos for $40. 26. A soft floral beret so your head gets a (fashionable) hug. You're going to need it five blocks in. Get it from Amazon for $3.39. Available in six colors. 27. A chunky cord cap that'll make you look as daring as you feel when you venture out of the apartment on a Saturday. Get it from Missguided for $26. 28. A gem-embellished hat, because sadly we won't be able to see your statement necklace under your parka. Get it from Boohoo for $9 (originally $15). 29. A double pom pom knit beanie that'll serve as inspiration to just hibernate next year. Bonus: It comes with a hair tie! Get it from Amazon for $14.99. Available in four colors. 30. A baker boy cap with a rope and brass button design to make even the chunkiest ski jackets look like a sophisticated choice. Get it from American Eagle for $12.47 (originally $24.95). 31. 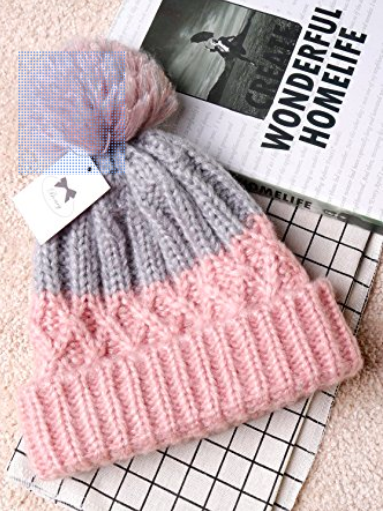 A diamond-style cable-knit hat, because you'll want to snuggle something after tearing yourself from your bed. Get it from ModCloth for $14.99 (originally $25).